Design Contests – quick links! Review Copies? Read this, please! Hiya! I’m way behind on blogging, as usual, so here’s a quick post to share some cute stuff that’s waiting for you on the grid. Go! Annunziata Macchi, designer behind Molto Bene AND my music soul mate ♥, sent me her latest precious little prefab, the Artisan Cottage. I LOVE tiny wee houses like this – they’re just so cute and precious, and just perfect for little garden or forest spaces. My favorite little detail: a closet. Little SL closets always make me giggle. 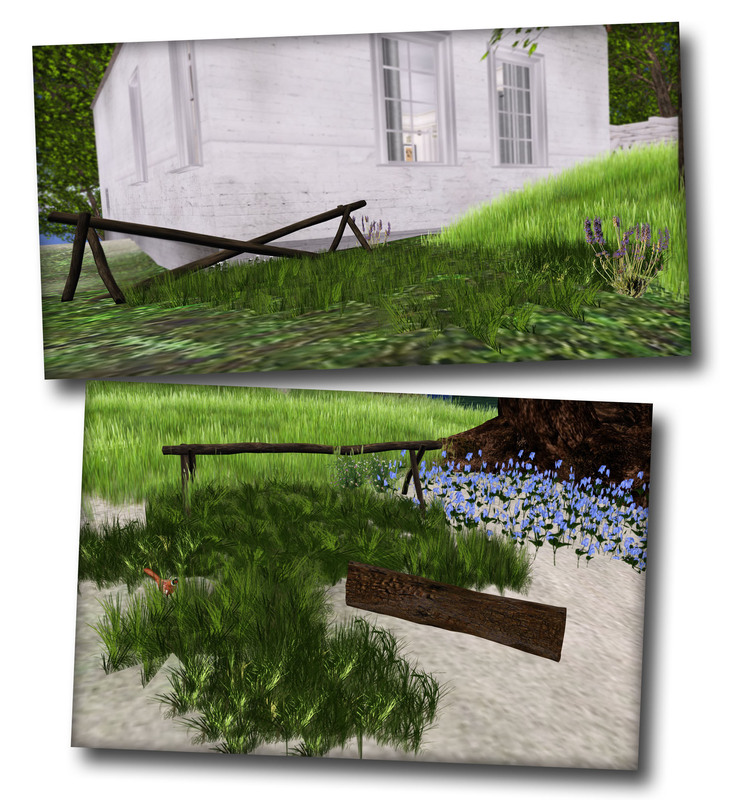 I recently shared some items with you from Pocket Gardens, by Carter Denja and Stormy Aluveau. In my previous review post, I mentioned my preference for more sculpted flowers and less flat prim-textured flowers, and Carter let me know that they took that to heart! She sent me a new little set, Study In Red, that uses sculpted flowers. So cute! The Study In Red set also includes a more formal planter to use, but I like the freestanding grouping better. Makes it look like a really fancy wildflower that randomly popped up. The grouping with the bird is also scripted with chirping sounds for ambiance, which is sweet. Great job with this set, and I look forward to seeing more! This is slightly old news, but just to be sure you all know: Cheap Cheap has reopened! Designer Wanda Aie (formerly Flanelle Bebb) is set up once again, now on the Triva sim, so be sure to stop by! Cute stuff for you! I got a nice little review folder from Pocket Gardens recently. I’ve checked them out before, a while back, and I’ve always appreciated their concept. Essentially, designers Carter Denja and Stormy Aluveaux provide easy instant-gardening pieces. 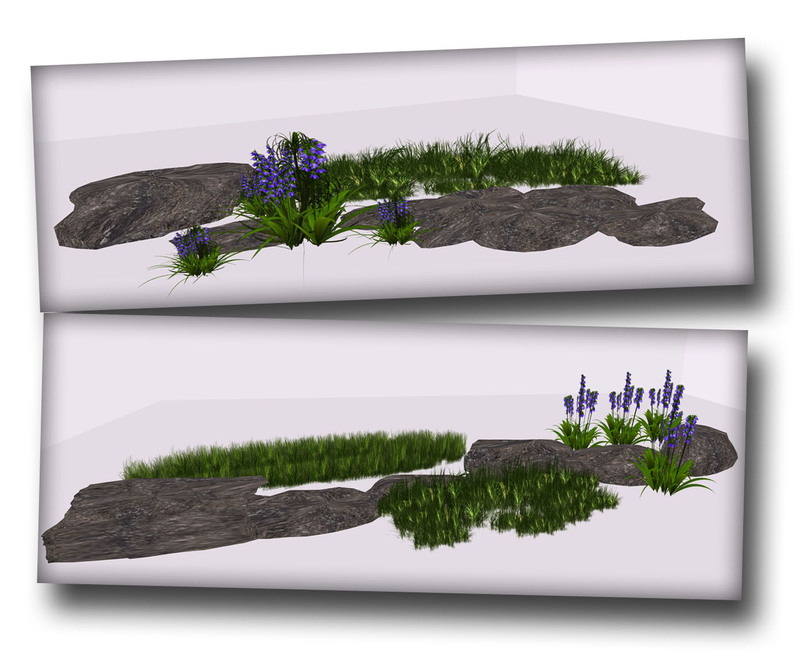 Landscaping can be so much fun in SL, but it can also be quite tedious and complex. The cool thing about Pocket Gardens is that it’s one object to rez and position, but it looks like so much more! The pics above are just examples of some of the pieces from the Country Impressions series that I’ve worked into my own existing landscaping. I like being able to plop down that one object and get a nice rustic fence, some more grasses, possibly a bird or woodland creature – all very organically arranged. ..and a few from the Garden Edging set. This set is good for more defined garden spaces. Being the picky gal that I am, I would love to see more 3d sculpted flowers in these sets, and less of the flat prim-textured flowers. I also recognize that that is much easier said than done. I’d love a bit more shading and definition to the rocks, as well. Overall, though, these are definitely worth a look to round out your landscaping – like I said, it’s easy! 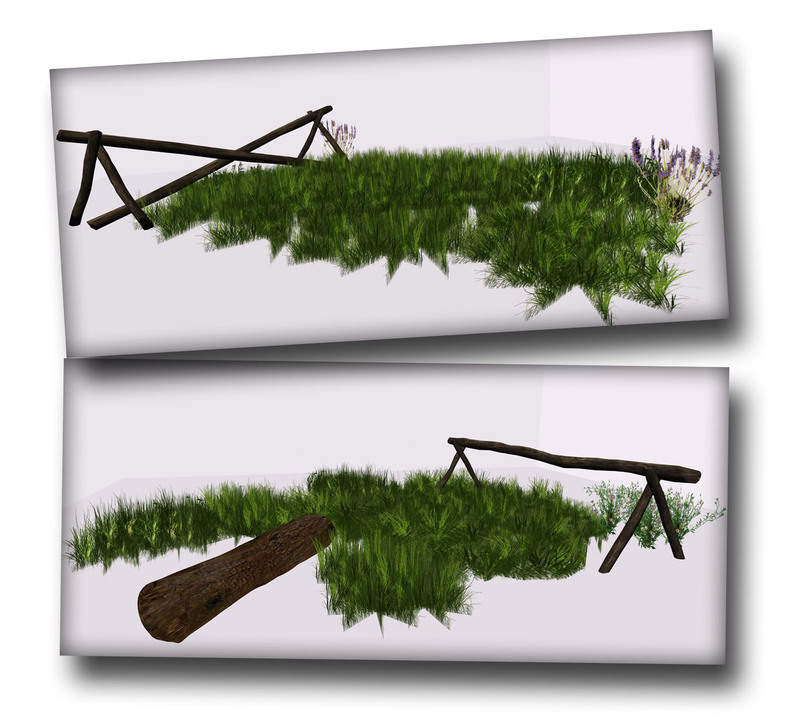 Most of these objects are pretty low in prims, too, which makes it even better. Thanks for checking me out - and looking at my blog, too. :) It's all about SL home and decor here - please see the "About Elle" tab for more about..well, about me..and check the "Review Copies" tab if you're a designer interested in being spotlighted here. Thanks! The one where I opine and advise.